DE | 2014 | 85 min. DE | 2010 | 17 min. DE | 2013 | 80 min. DE | 2008 | 35 min. DE | 2013 | 45 min. DE | 2018 | 14 min. DE | 2009 | 17 min. DE | 2010 | 56 min. DE | 2012 | 60 min. DE | 2014 | 50 min. DE | 2010 | 77 min. DE | 2012 | 28 min. DE | 2018 | 57 min. DE | 2010 | 71 min. DE | 2008 | 58 min. 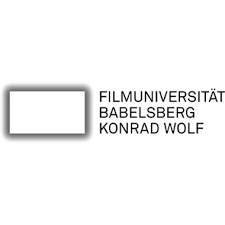 Each year, some 170 projects - including short and feature films of any genre (fiction, documentary, animation) - are brought to completion at Film University Babelsberg KONRAD WOLF. In many cases, partners from the film and media industry act as co-producers or associates. Student films of the film university are shown successfully at over 200 festivals around the globe and receive up to 80 awards annually. This also confirms the originality of ideas and the quality of their implementation as well as the high production value of student films. Special projects give students the opportunity to gain filmmaking experience abroad. Films that were shot in France, the Netherlands, Sweden, Cuba, Israel, India, Vietnam, Japan, South America, the US, China, or Iran are no longer exceptions. As the creative and economic potential of student films is becoming more and more interesting for the media industry, the film university has built close connections to national and international production companies, TV stations, and distributors. Once a year, current productions, work-in-progress, and project pitches are presented to a professional audience at the "Projektforum".